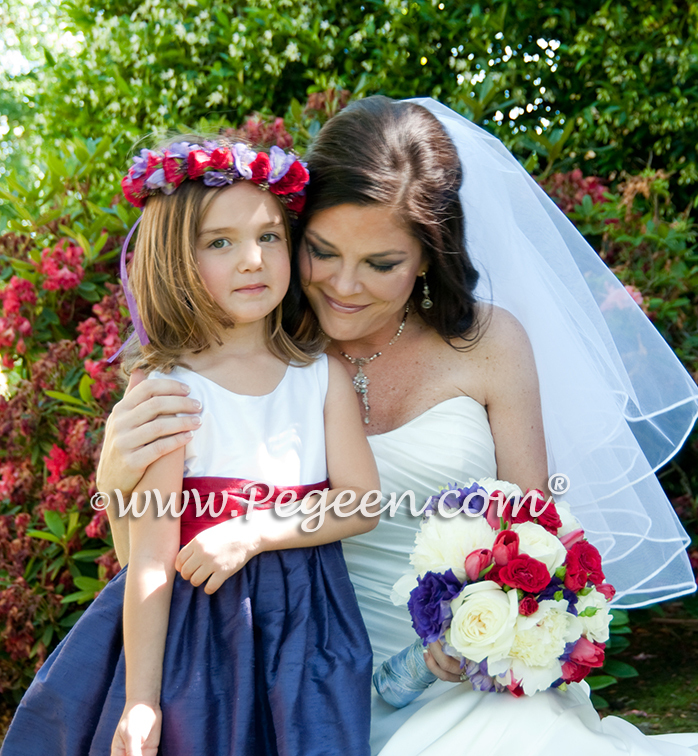 I loved these photos when they came in from my bride, held in Sonoma County near Healdsburg. Photography was by Tia and Claire from Tia and Claire Studios. 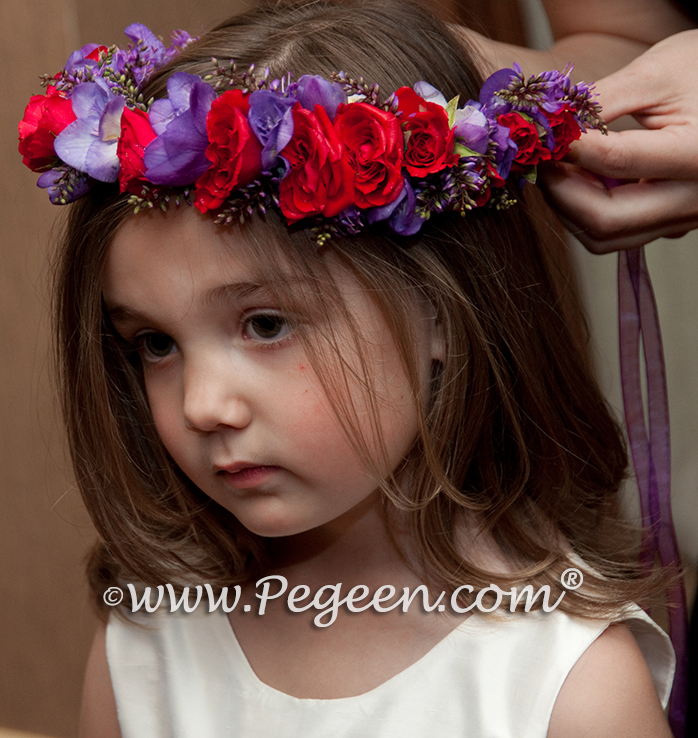 I particularly loved the flower girl wreath made of fresh flowers (sweet peas and roses). 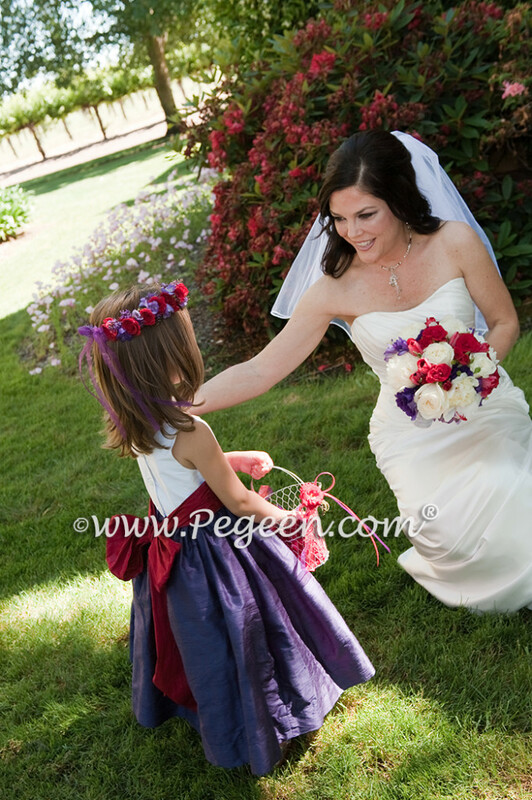 The bride chose flower girl dress Pegeen Classic Style 388 in Antique White, Grape and Cranberry. 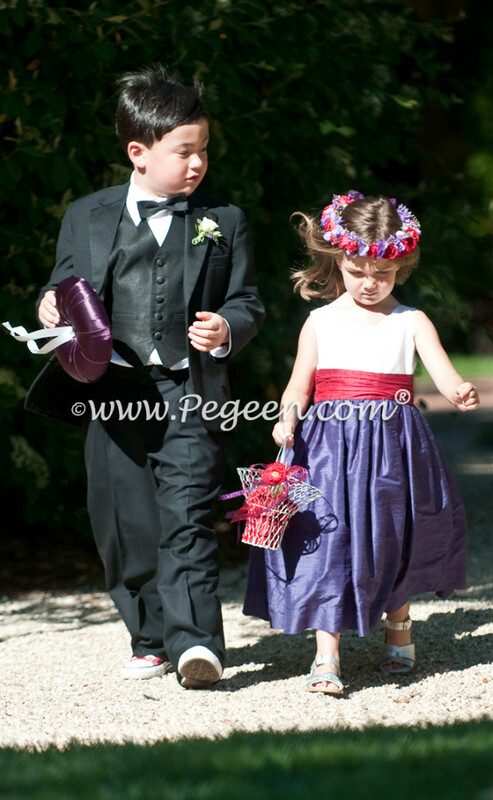 Pegeen makes flower girl dresses for children in all sizes. This photo of a very happy munchkin was sent to us after a customer asked for a rush dress and bolero jacket for her one year old daughter. We just couldn’t help but smile when we saw her picture! When picking a style for an infant or toddler, anything can go BUT sometimes the simple flower girl dress styles are quite lovely. At Pegeen we make flower girl dresses in sizes from 3 months to plus size and most of our dresses look beautiful in any size. You can choose from 200+ colors although we recommend that a light color goes on the bodice so that the photographer can light the child’s face easily.